KY 18 South to R-North Bend Rd to R-into Fairways of Meadowwood. R-Bunkers, R-Nelson, R-Overpar. This unit is on the left. The TWO magic words in Condo living - NO STEPS! Extremely well maintained first floor condo with private entry, large attached garage, pretty screened patio that steps right out to green space, 2BR plus french doors to an office, open floor plan! All neutral decor, large room sizes, nice closet spaces, located in popular Fairways of Meadowood, a 9 hole golf course in the neighborhood. 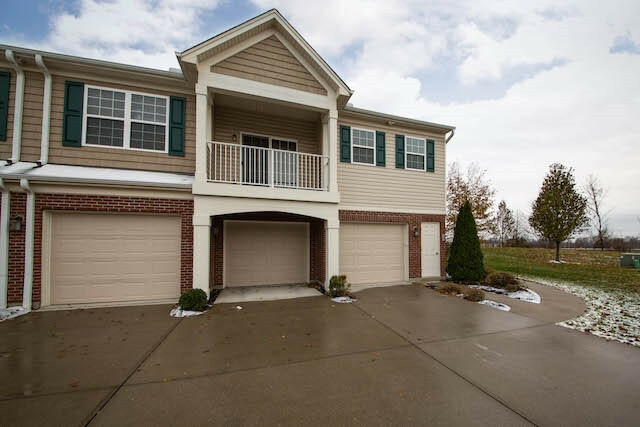 Just across the road from grocery, restaurants, library, park, and lowest tax rate in NKY! Just 6 years since built and extremely hard to find anywhere near this price! Plus a home warranty - Welcome home!